Afghanistan's upper house of parliament has issued a statement backing a death sentence for a journalist for blasphemy in northern Afghanistan. Pervez Kambakhsh, 23, was convicted last week of downloading and distributing an article insulting Islam. He has denied the charge. The UN has criticised the sentence and said the journalist did not have legal representation during the case. 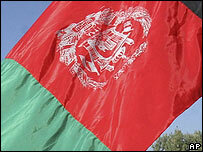 The Afghan government has said that the sentence was not final. A government spokesman said recently that the case would be handled "very carefully". Now the Afghan Senate has issued a statement on the case - it was not voted on but was signed by its leader, Sibghatullah Mojaddedi, an ally of President Hamid Karzai. It said the upper house approved the death sentence conferred on Mr Kambaksh by a city court in Mazar-e-Sharif. It also strongly criticised what it called those institutions and foreign sources which, it said, had tried to pressurise the country's government and judiciary as they pursued people like Mr Kambakhsh. Some governments and international organisations have called for the sentence to be overturned. A legal expert, Wadir Safi, told the BBC that parliament was not constitutionally allowed to intervene in a case in the way the Senate had done, and he was concerned the new statement might prejudice the independence of the judges. Mr Kambakhsh's brother, Yacoub Kambakhsh, told the BBC that the journalist was very concerned about his future and said he had not had a fair trial or any lawyer to defend him. But the provincial governor in Mazar has said the case is being handled with due process. Mr Kambakhsh has at least two more courts in which to appeal and the sentence would have to be approved by President Karzai to be carried out. He is a student at Balkh University and a journalist for Jahan-e Naw (New World). He was arrested in 2007 after downloading material relating to the role of women in Islamic societies.